Cute! I love "em! I love "em! These flower crochet coasters are now available. 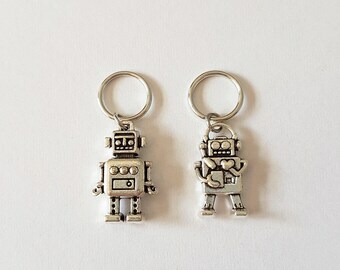 I can make them in other colours, just send me a message! When I was a little girl my mum and grandma taught me how to knit and crochet. I've always loved working with yarn and I like making other knitting and crochet related items, like stitch markers. Pop culture and geeky stuff are another big part of my life. When I am creating things I am usually inspired by pop culture. In my shop you can find quirky items for awesome people who love to knit and crochet. If you are unhappy with your order, please contact me within 14 days after receiving the item. You can return the item, but you will be responsible for the extra shipping fees. If I receive the item in its original state, I will send you a full refund. All of the packages are sent from Belgium. Everything is shipped within 1-3 business days if the item is in stock. Shipping within Europe usually takes about a week. Shipping to other regions might take 2-4 weeks, but it's usually faster. If required, additional costs (import taxes & customs) will have to be paid by the buyer. Shipping might take longer during the holiday season, so order your gifts in time! 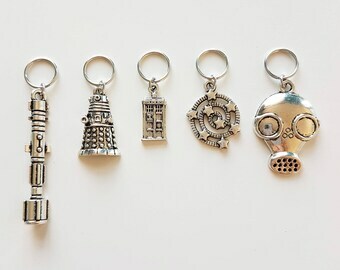 I only want one of the stitch markers instead of the whole set. Can I order just the one stitch marker/progress keeper? If you'd rather order one stitch marker instead of a whole set, just send me a message and I'll see what I can do. If I have materials left to make extra stitch markers, I'll make a custom listing for you. 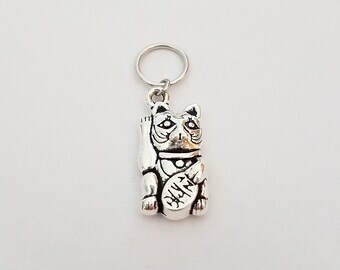 A seperate stitch marker costs €2 per stitch marker. Shipping costs for one stitch marker are the same as for a whole set. 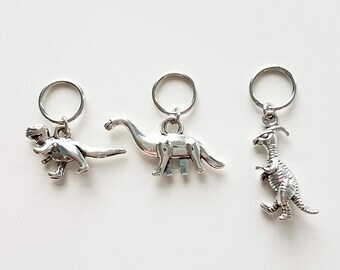 I would like to order more sets of stitch markers than the amount that's available online, is this possible? Most of the time I can make more sets. Send me a message and I'll let you know if it's possible for the set(s) you want. If it's possible, I will make a custom listing for you or edit a listing so you can order more.